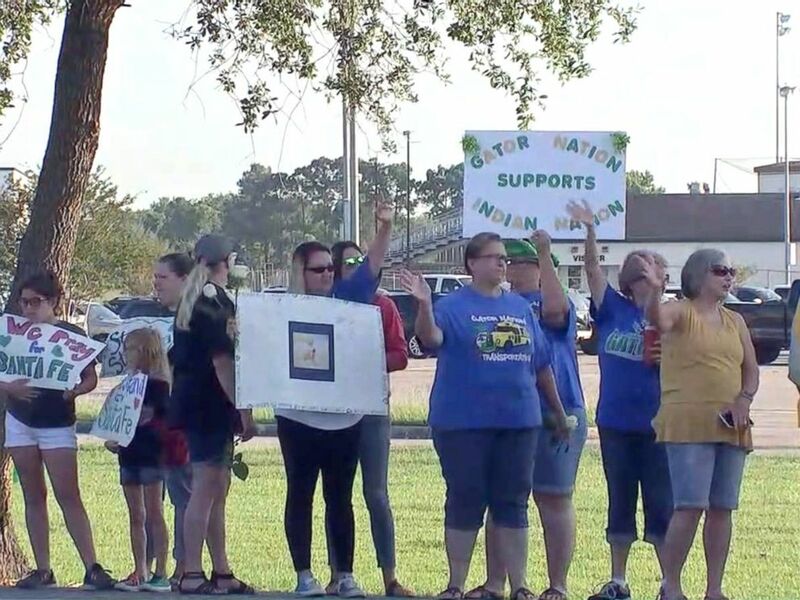 Santa Fe High School students were greeted by community members holding signs of support as they returned to class this morning for the first time since a mass shooting left 10 students and staff dead. Dimitrios Pagourtzis, 17, allegedly burst into art rooms at the Texas school on May 18 with a shotgun and a .38-caliber revolver, killing 10 and injuring 13 others. He was taken into custody and charged with capital murder. 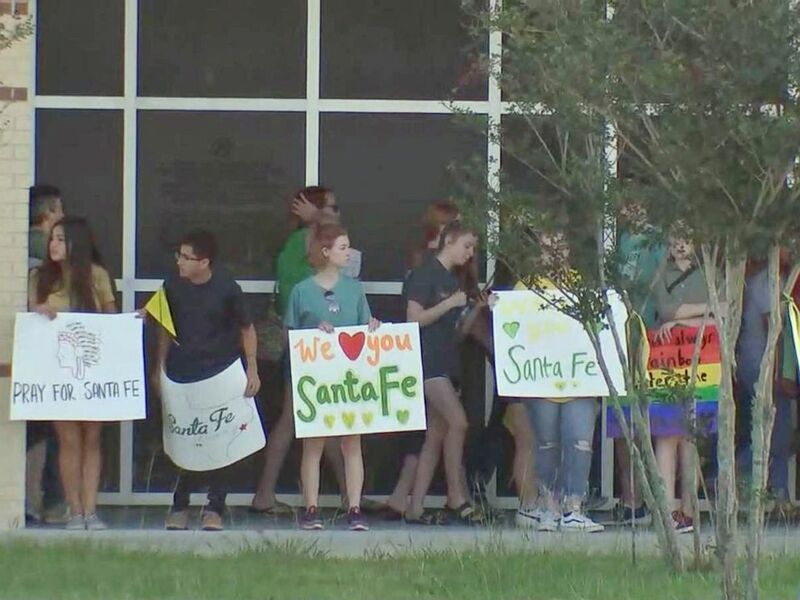 Santa Fe High School supporters gather by the school to wish student and staff well on their first day of classes, May 29, 2018 after a shooting that killed 10 people, in Santa Fe, Texas. 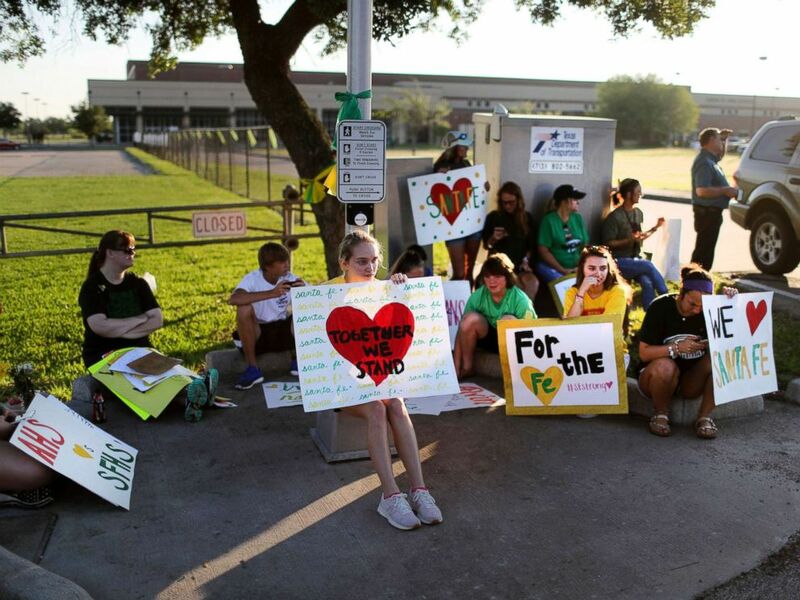 Members of the community line up outside Santa Fe High School to show support for students as they return for the first day of class since a deadly mass shooting in Santa Fe, Texas, May 29, 2018. 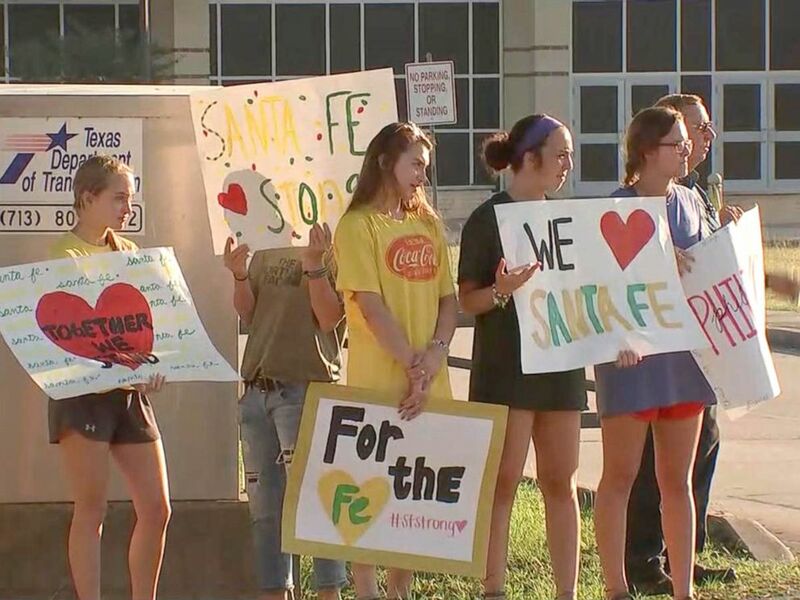 Santa Fe High School students were greeted by community members holding signs of support as they returned to class, May 29, 2018. 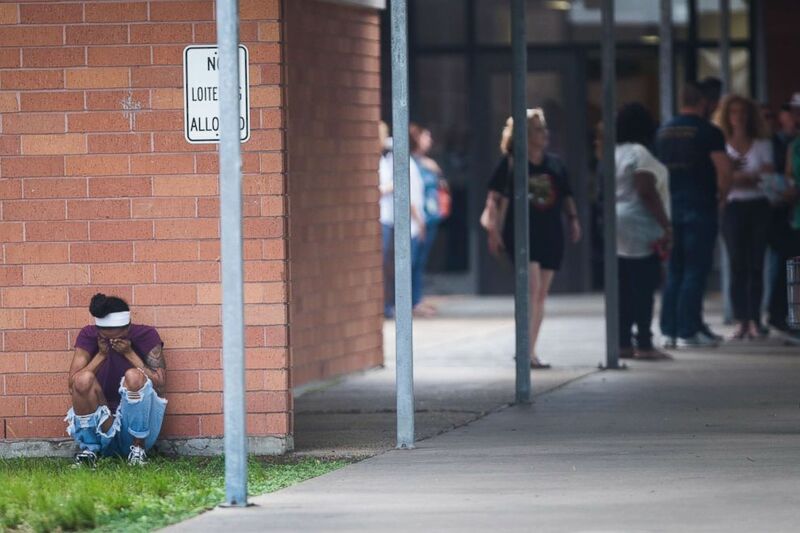 Multiple law enforcement agencies from across Texas are providing extra security at all schools in the district for the returning students and staff, the school district said. “We are committed to providing a safe and supportive environment so as a community we can heal,” Patti Hanssard, assistant superintendent for human resources and public relations, said in a statement. 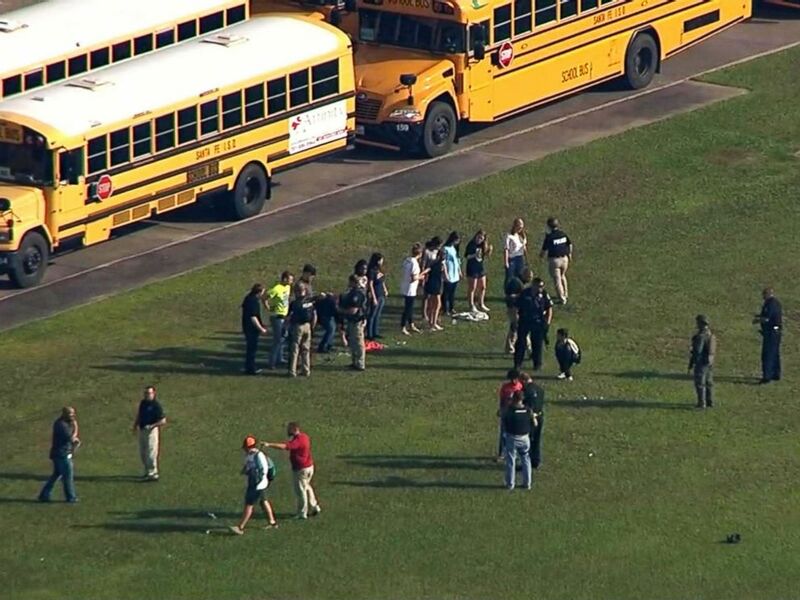 Counseling will be available for students and staff “for as long as needed,” the district said. 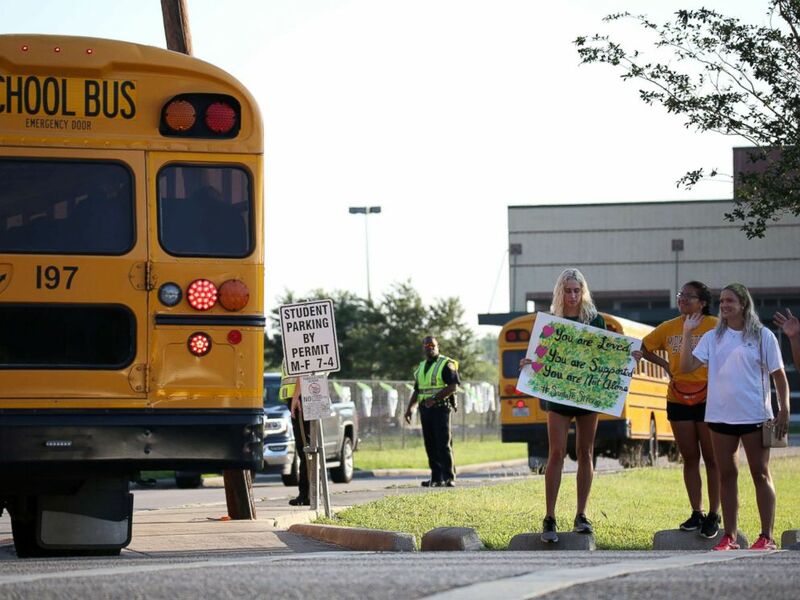 Going back to school will “help us have closure because I don’t think our last day of high school should be such a bad memory,” student Katie Oldham told ABC station KTRK in Houston. 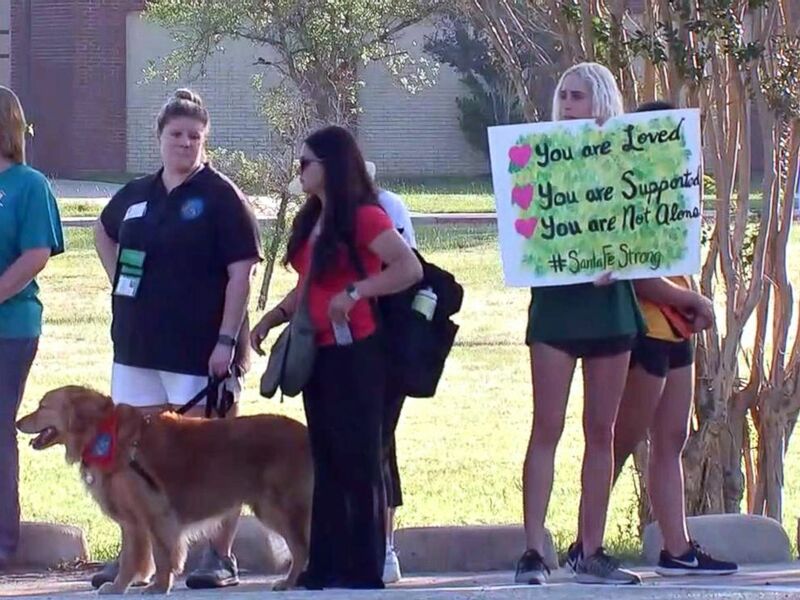 People gather by the Barnett Intermediate School where parents are gathering to pick up their children following a shooting at Santa Fe High School on May 18, 2018, in Santa Fe, Texas. 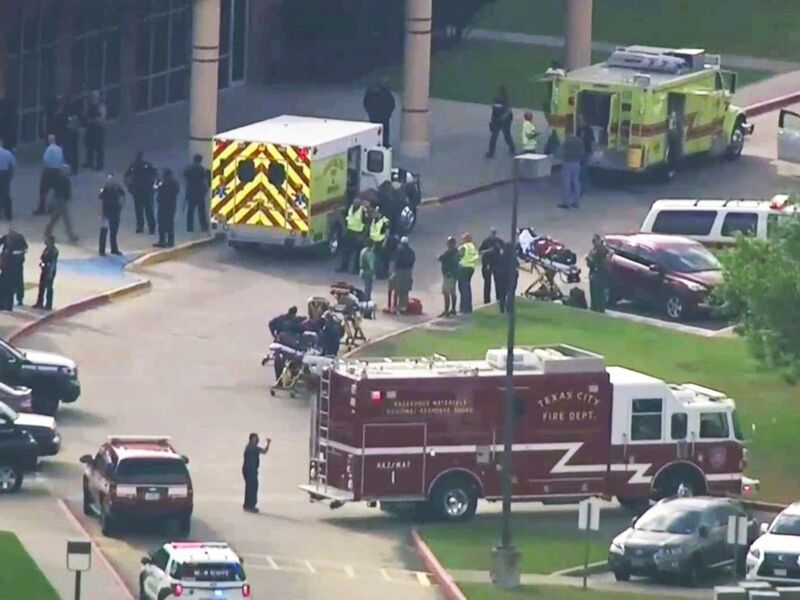 First responders work outside of Santa Fe High School in Santa Fe, Texas, May 18, 2018 after a shooting. “I definitely have mixed emotions about going back, but it will help to move on and be stronger than this,” Richards said. 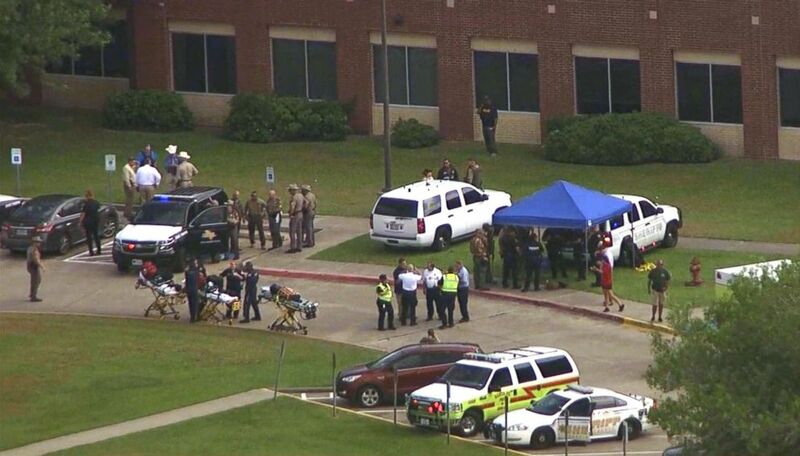 Emergency personnel and law enforcement officers respond to a high school near Houston after an active shooter was reported on campus, May 18, 2018, in Santa Fe, Texas. Santa Fe High School’s last day of class is Thursday and graduation is on Friday. As students head back to school, two more victims will be mourned at visitations and funerals today.